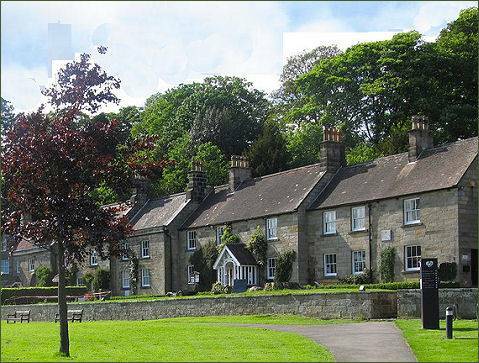 Danby is pleasantly situated in a sheltered hollow at the head of the Esk Valley in the North York Moors National Park. The remains of Danby Castle stand just over a mile to the south east of the village. The castle occupies a commanding position on the far slopes of Danby Rigg. The castle was built by the Latimer family in the early 1300’s. It’s lords included some of the most powerful nobles of medieval England. With the death of the last of the Latimers, at the end of the fourteenth century, the estate passed to the famous Neville family. They remodelled the South Range, where their Arms can be seen on the south wall of the Courtroom. In the sixteenth century John Neville, Lord Latimer of Danby, who owned Danby Estate and Danby Castle, married Catherine Parr. Their marital home was Danby Castle before she became the sixth and final wife of King Henry VIII, she fortunately survived her formidable spouse. Danby Castle is usually closed to the public, but visits can be arranged through the Moors National Park Centre on the outskirts of the village. The Danby court leet meets regularly at the castle to govern the use of common land in the area. The village church of St Hilda stands in an isolated position around two miles from the village, the building dates to the Saxon era and retains features from the Saxon, Norman, medieval, and Georgian periods, St.Hilda to whom the church is dedicated, to is depicted in one of several fine stained glass windows. The churchyard contains several ancient yew trees. The Reverend John Christopher Atkinson was Vicar of Danby from 1847 until his death in 1900. An archaeologist, geologist, folklorist and philologist, he is best known for his book Forty Years in a Moorland Parish, first published in 1891, which is a fascinating account of the landscape and people in and around Danby. Scotch Blackface sheep roam freely on the pleasant village green at the centre of the village, keeping the grass down all year round. The Duke of Wellington inn, which dates back to 1765, overlooks the village green. In the Napoleonic Wars the inn was used as a recruiting station for soldiers. A cast iron plaque with the likeness of the Duke was discovered during restoration work on the building and is now displayed over the fireplace in the bar. The inn offers food and bed and breakfast accommodation. 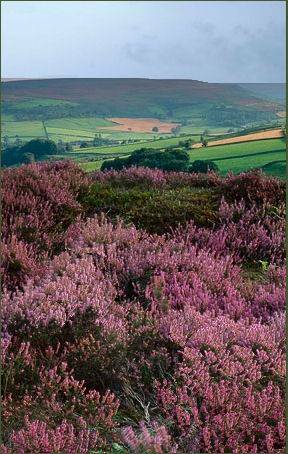 High above Danby is the hill of Danby Beacon, set in heather moorland, it stands at 229 metres high. In the seventeenth century a signal beacon was built on the the hill, to be lit at the first sign of an invasion fleet from France. A new beacon was unveiled in 2008 by Lord Downe, President of the Danby Beacon Trust. The flame-shaped basket is made out of blued stainless steel, blending in with the sky. The flames are mounted around a cup that is decorated with bronze - a reminder of the Bronze Age burial mound which partly occupies the site. The Moors National Park Centre (pictured left), located on the outskirts of the village, is a former shooting lodge and now the main information centre for the National Park. The centre has a wealth of information on visiting the National Park, from maps to information pamphlets, and covers the natural history of the area, the best places to see birds, wildlife, and unusual plants. There are regular workshops and interactive exhibitions at the Moors Centre. For kids, there is an outdoor adventure play area and indoor climbing wall, children's trails and a lively events programme. There are also attractive terraced gardens with great views of the moors. There are pushchair and wheelchair friendly woodland and riverside trails around the grounds and plenty of picnic areas. 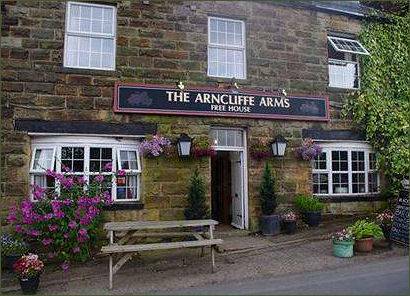 Easy trails lead from Danby village onto the moors.